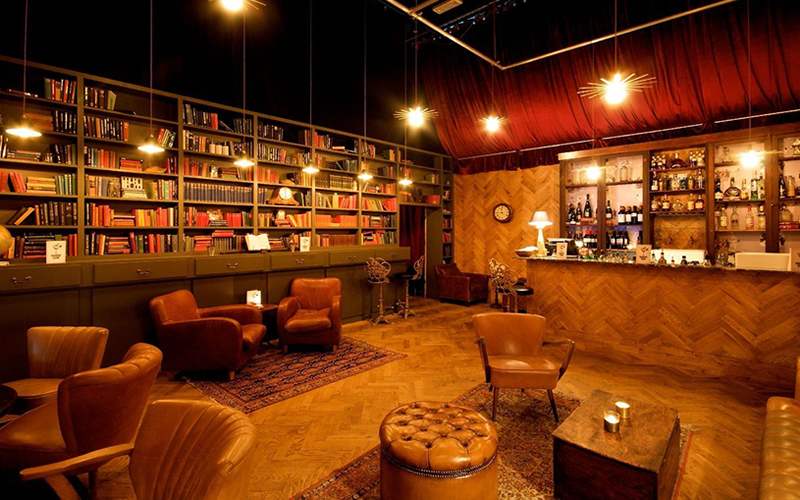 Whether you’re dating a bibliophile or just want to catch up on your latest novel, these London library bars are the perfect place to combine your love of books and booze. 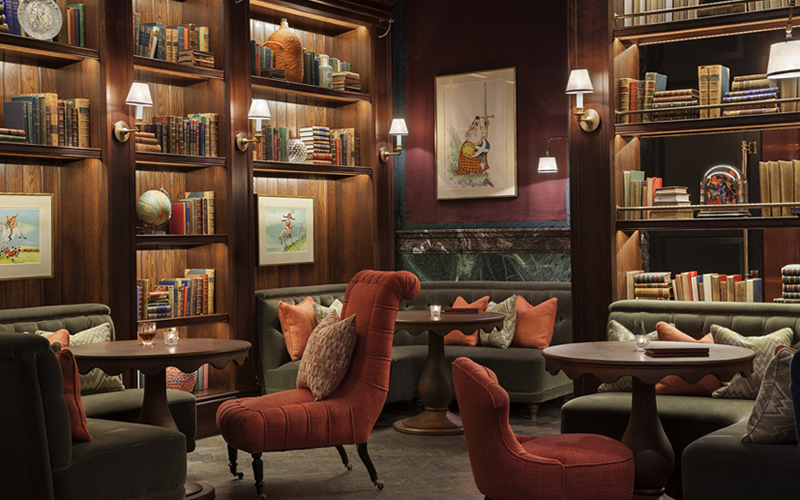 Named after British artist and caricaturist Gerald Scarfe, the Rosewood’s opulent bar is a haven for culture vultures and cocktail connoisseurs. There’s a roaring fire, velvet armchairs to sink into, and bookshelves filled with over 1,000 antique books – what more could you ask for? If the answer is something to nibble on, you’re in luck. 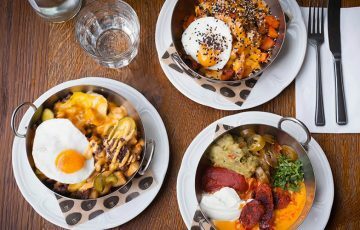 Bar snacks like black pudding Scotch eggs and Devonshire lamb chops are served until midnight, plus the superb Holborn Dining Room is right next door. Fancy a drink in one of Britain’s sexiest and most secretive locations? 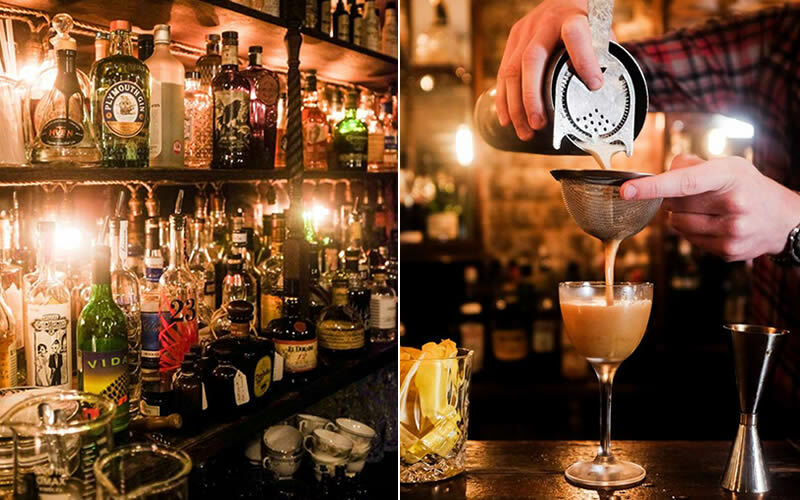 Then look no further than our guide to the UK’s best speakeasies. Whether you’re looking for jazz in Leeds or vintage vibes in Manchester, we’ve got a bar for you to try. This Earl’s Court bar masquerades as a detective agency online. If you want to reserve a space, you must submit a ‘case’ which the detective (aka doorman) will question you about on arrival. Anyone who is into theatre will feel right at home in this stylish 1920s location. 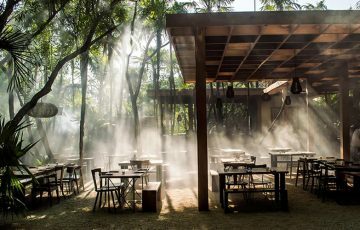 Indulge in one of the many cocktails on the menu and you’ll feel like you are in a different world. Berry & Rye is a prohibition era themed bar specialising in whiskey, blues, jazz and gin. It might take you a while to you find the bar itself and once you’ve located it, there are even more things to search for. The drinks menus for instance are hidden away in bibles. 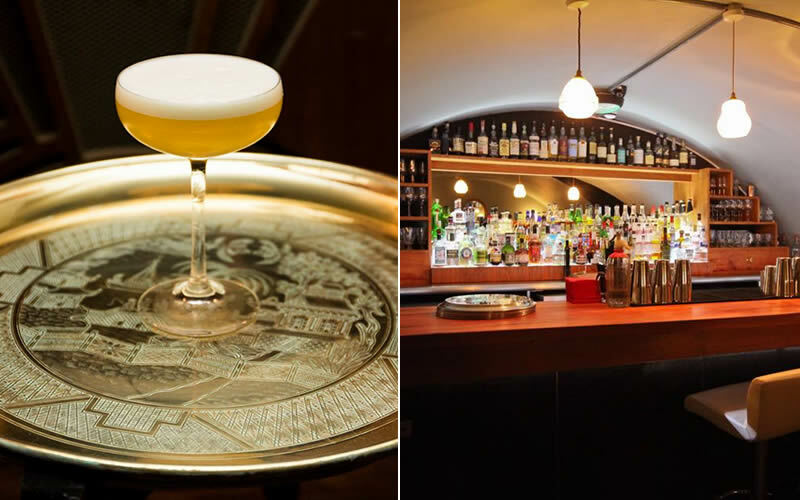 Anyone who is up for a little detective work in their free time should make their way to this stunning 1930s Chicago-style bar hidden behind the anonymous door of a blacked-out shop – it’ll be worth it. This retro drinking den serves classic cocktails and benefits from extremely attentive and stylish bartenders (everyone here wears old-school braces). Red Light is hidden behind graffiti-style doors (maybe Banksy was here, too?) and even its website is intentionally difficult to find, so interest levels amongst the hip kids are kept at an all-time high. The Domino Club is the go-to place for live jazz music in Leeds. Only a small neon sign marks its existence – no wonder it has earned itself a place on the Difford’s Guide list of the world’s best-hidden bars. It charms guests with a Victorian twist on timeless décor: parquet flooring, leather booths and a handmade brass-topped bar as well as artwork from well-known artists like Vivian Maier and Martin Parr. The bar’s hand-picked wine list, which is carefully updated every three months, really steals the show. Every week, The Domino Club buy a rare bottle of liquor and sell it at cost price – win win! 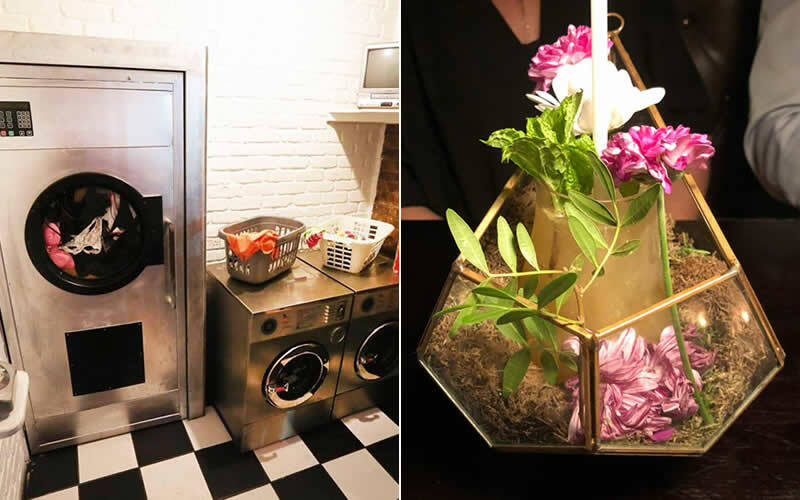 It might look like any other launderette, but for those in the know, this is one of Manchester’s top spots for creative cocktails. Booking is essential so call ahead and then make your way past the washing machines into the dimly lit drinking den. The drinks are quirky and potent, sometimes served in teacups and terrariums with edible garnishes. Panda & Sons located in Edinburgh’s New Town is a concept bar for cocktail connoisseurs. From the outside, the establishment presents itself as an American barber’s shop. Inside, charming wood panelling, panda imagery, a bookshelf that doubles as a door and eccentric ornaments invite guests into an old-fashioned fantasy world. We recommend trying their legendary cocktails such as Money Talks, Miss American Rye or Petal to the Ketel. If you’re feeling a little peckish, enjoy the bar’s cold meat or cheese boards. 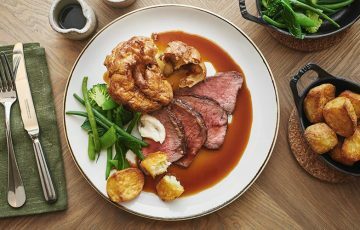 Note: This post has been edited to remove The Fitzgerald in Manchester which has sadly closed.